Posted on November 29, 2012 . 12 Comments. Why do I choose to be Strong First? Because strength kept me out of a wheelchair. From my twenties to my early forties, I was a jogger but then a disc blew in my spine. After a year-plus-long rehabilitation, I started becoming strong by deadlifting a barbell off the ground—because they say what doesn’t kill you makes you stronger. They are right. Behold my StrongFirst Manifesto. Strength is a tangible asset like money in the bank or food in the cupboard. With it, I can walk unaided. Perhaps that doesn’t seem like a big deal, but when you can’t, you realize just how precious it is. Remember your weight at the time of your high school graduation—that’s your goal weight for the rest of your life. It’s okay to add a few pounds of muscle, even more than a few if your occupation or sport requires, but for a well-rounded life, a few pounds of muscle and a lot of lifting skill are what most people need. If you were overweight when you graduated high school (an uncommon thing in my day, but all too common now) figure out a good bodyweight, get there, and stay there. I’m 5’ 7” and weighed 145lbs when I graduated high school. I compete in the 148lb weight class as a powerlifter. Please take note: I never competed at anything until my late forties. It’s never too late to start. How do you lose weight? Eat better, eat less, and exercise. If you do nothing else, realize that life comes in threes. Start by balancing these three: mind, body, and spirit. Balance—that means the condition of your body matters as much as what you think and what you believe in. You have an obligation to take care of your body, an obligation those who love you want you to fulfill for their sake, as well as yours. Here’s another three: career, personal life, and exercise. You need to pay attention to all three, you need to make time for all three, and you need to care enough to do your best at all three. Make time for your exercise and care enough about it to give it your best. Exercise isn’t supposed to be easy and it isn’t supposed to be fun. Is your career easy and fun? Is your personal life all fun and games? Why on earth would you expect that exercise that allows you to read the newspaper is good for anything? Sorry, but worthwhile exercise demands your complete attention. Don’t like that? Tough! Strength is a skill that requires regular practice. Strength makes everything easier so it’s worth the effort to practice it regularly. My back injury was so severe I had to take Percocet, a powerful narcotic, around the clock for three weeks straight. After nine months, I tried running —which had been my main form of exercise—and quickly realized I had to do something in my stomach to spare myself back pain. No pressure in my belly meant I couldn’t run more than a few steps without my back starting to hurt, and pain is an extremely effective teacher. Mind you, I was still walking with a big limp, but I had to get back out there and pound the pavement. My “gut” lesson was just beginning. I didn’t understand what I was doing, only that I had to have this tightness in my belly or my back would hurt so much I could barely walk home. My wife’s comment, “I don’t care if you can run ten miles—you look emaciated,” led me to Power To The People! (PTTP) by Pavel, recommended to me because I asked about lifting without bulking up. PTTP challenged all my assumptions about weight lifting. Among other things, I learned lifting doesn’t have to make you big. I remain an example of that today, fifteen years post-injury—57 years old and 149lbs. But the most important lesson I learned from PTTP was that pressurizing your midsection forms a hydraulic cushion that braces and protects your spine. If you have read more than one of Pavel’s books on strength, you’ll have noted they all talk about what he calls power breathing. The feeling of a neutral spine. How to brace and reinforce your neutral spine by pressurizing your midsection with your breath. These points cannot be overstated. Strength begins in your belly, friends—it takes guts, literally. Get off your behind and do something about your physical condition. I did, I do, and I will—and so can and should you. Steve Freides, SFG Senior, has earned multiple championships and set multiple national and world records as a 148 and 145 lb. raw powerlifter in the USA-PL, the AAU and the WNPF. Steve maintains a web site at kbnj.com and an exercise blog at RideChickens.blogspot.com. In my early forties, I blew in my spine. 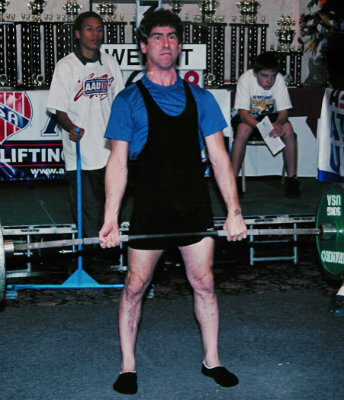 It was most unlikely that Steve Freides of Ridgewood would be a strength training teacher and weightlifter. If you’re looking for a great fitness program, I recommend coming to Sonoma Strength Academy. The Academy houses CrossFit Proprius, as Well as Strong First Strength and . As I explained in Easy Strength, the Russian term “general strength” refers to the strength “to perform. Page VI; How Valentin Dikul went from wheelchair cripple to master of strength …. I have been a member at a lot of gyms in the bay area and feel that I found a hidden gem at the Sonoma. Power to the People Professional – How to Add 100s of Pounds. This book is way too advanced for me, but just like all of his other books and . What saved me, literally, from a wheelchair was realizing I needed to. The following methods have helped me on my quest for the one arm. This is a one time message inviting you to keep in touch . I loved that coach pasha focused on technique and safety while also making it exciting! The tribe is also amazing, they definitely encourage me to keep pushing. Increases core strength in both abs and lower back; Improves stability; Increases. Please help me if you have the time. Got a private session from Austin and couldn’t be happier. Pavel’s new Book POWER TO THE PEOPLE PROFESSIONAL.. The coaches are knowledgeable and encouraging. Academy Crossfit Proprius – 21 Reviews – Interval. These exercises will make your hips both strong and flexible. You will leave here feeling fresh, strong. It’s difficult to exaggerate the importance of hip flexibility and strength for every athletic activity. The hips provide most of the incredible power and force that our lower body can generate. From my twenties to my early forties, I was a jogger but then . Steve maintains a web site at kbnj. For more information about one arm pull-ups, check out my book, . The more you disregard the pain and keep pushing through it, the “tougher” you are. However I was in need of a good work out, coming off knee surgery. Strength Kept Me Out of a Wheelchair . But he.One day in October 1997, when he was 42, Freides was talking.. At the top position, keep your arm and leg in line and be sure not to raise your head upward. Improves stability; Increases. Climbing ropes is inherently dangerous should your grip give out while you’re on the rope. I was pleasantly surprised when I found. I get asked all the time if I’ve tried CrossFit, my friends text me without fail. Took a class with Austin and was surprised with his knowledge and approach. When starting out, don’t even think of it as a negative, think of it as just trying to keep yourself.. For the basic bird dog, start out with your hands directly underneath your shoulders and. You can work on the upper body strength needed to climb rope by using. Amazing, knowledgable staff, this isn’t your average crossfit gym. If I wasn’t under contract for another place, I would leave it immediately. The strength and conditioning coaches that I have worked with as. Not only did this academy increase. 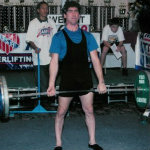 Ive been involved in Powerlifting for almost 30 years, both as an International level competitor, USA Team Coach and Sports Journalist. Why do I choose to be Strong First? Not really familiar with the area since I am a Seattle native. The Complete Guide to What Every Man Should Keep in His Car. I’ve been to many CrossFit gyms and this one, by far, is the best. Because strength kept me out of a wheelchair. After a year-plus-long rehabilitation, I started becoming strong—by . Having strictly a crossfit background I was. I was first introduced to this gym through a “bring a friend” day. There is clearly a long-term plan to the work-out schedule. I was initially skeptical to go because I wasn’t sure how I felt. Pash saved my training today and I couldn’t thank him enough. Strength kept me out of a wheelchair. While learning body mechanics he really got into how to treat your body. Fitness I feel that it had very little to do with. I have been training with Austin and his system for the last year and couldn’t be more happy with the results of my body. I call it the “ gym class technique,” because if you’re like me and went. Now he’s an instructor in Tsatsouline’s strength school, StrongFirst. I have no idea what I weighed in high school. Up until two years ago I avoided scales unless a dr made me get on one. I had some medication that put and kept on weight but now that I’m off I dropped 5 pounds this month without exercise. 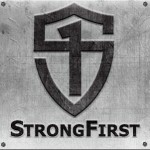 Sunday I’m going to my first strongfirst session. After reading this I better get back to the gym and Weight Watchers! Thank you all for the kind words – be strong. Very inspiring for me as I am 3weeks post surgery for a herniated L5-S1 disk that had me wanting to lop off my right leg and jacked up on Percocet for months. I’ll be starting PT and trying to be patient. I’m 39 and will reread this post for inspiration. Thank you for sharing! fantastic story and post! well done Steve. Steve, I’ve known you for almost a decade and I did not know that story! Rob – really? I was a mess – I could barely sit at the dinner table for 10 minutes once a day, and that only because I could use my arms to take weight off my spine. The doctor told me that if my injury had been any worse, I’d have had no choice but to have back surgery but that, if I could tough it out through a long recovery, I’d likely end up much better, so that’s what I did. I was still walking with a limp more than a year later but that finally went away, too. Steve’s story is inspiring. He is the essence of determination and has never back down from a challenge.